Happy New Year Dinamic Athletes! We have a number of new athletes joining us from the UK as well as across SA. So a huge welcome to Benjamin, Karen, Sandra, Jayne, Paul, Jacki, Jacqui and Simone! For most of us this year is starting with a bang (!) in the shape of 70.3 SA. It is a mere 23 days away which means the taper is in sight!! There is a list on the website of the things we think are really important to pack (if you have any other suggestions then please mail them to me and I will add them in). 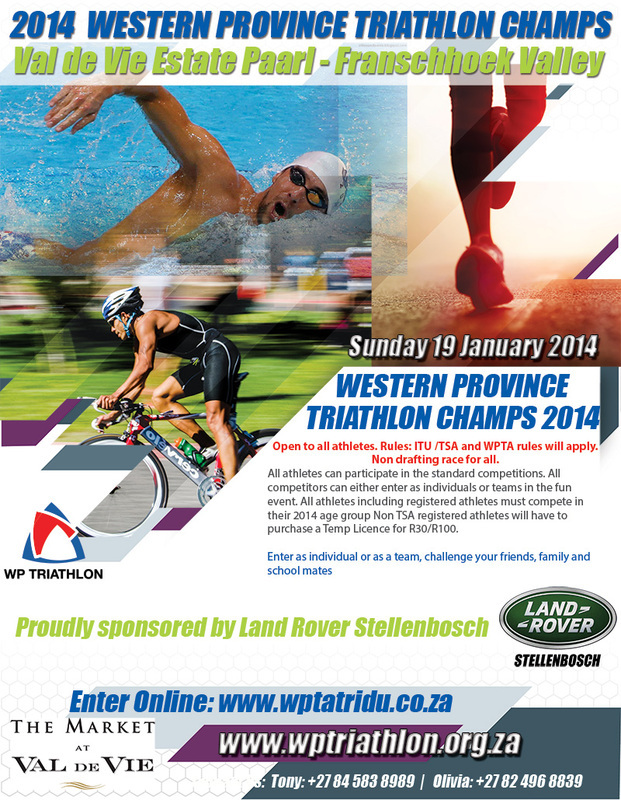 Below is the link to the WP Tri Champs taking place on 19 January at Val de Vie. It is a new venue and looks like a lot of fun! Hope you all have a smooth start to the week if you are starting work, and hope this weekend is filled with good training weather!